Greenhill Park is located in a very exclusive part of Sint-Pieters-Woluwe, one of the most beautiful and greenest communities of Brussels. 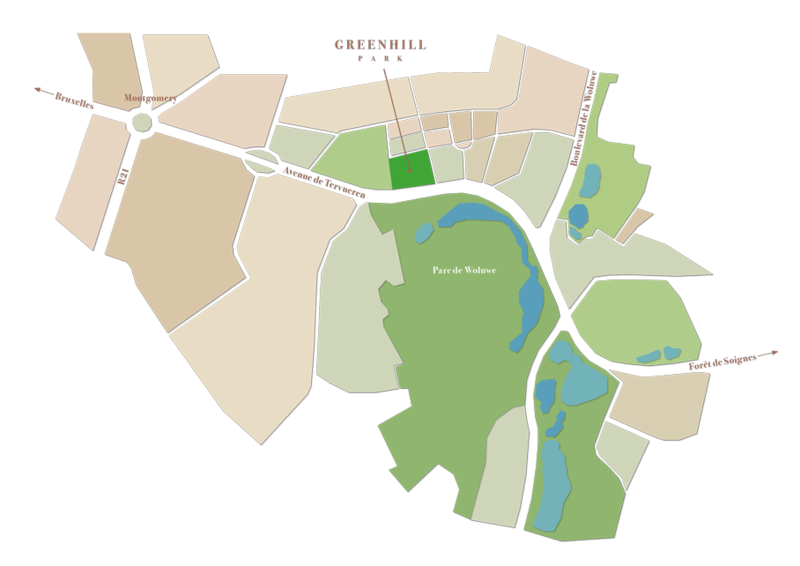 Woluwe Park − a nature preserve that is very popular with young and old − is right in front of your own garden. From your privileged location, you have easy access to the entire capital city, the rest of Belgium and the world. If you should wish to leave your own extraordinary surroundings, that is.